Fine condition hardback book and dustjacket. Unread and nearly as new. 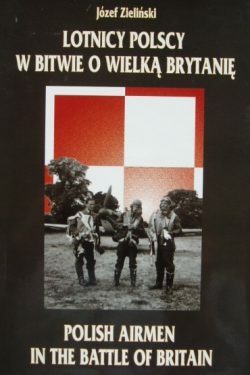 This is a bilingual (Polish & English) biographical directory of the 144 Polish airmen who flew operationally over Britain during the Battle of Britain in RAF or Polish fighter squadrons. 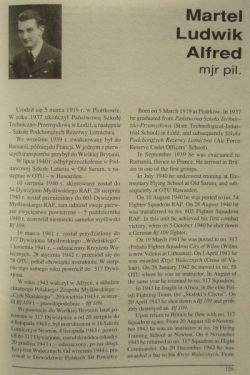 As well as the famous pilots of 303 Squadron, the book also gives detailed biographies of lesser known pilots and gives a representative overview of the fates of Polish airmen before and during WWII as well as in the postwar period. 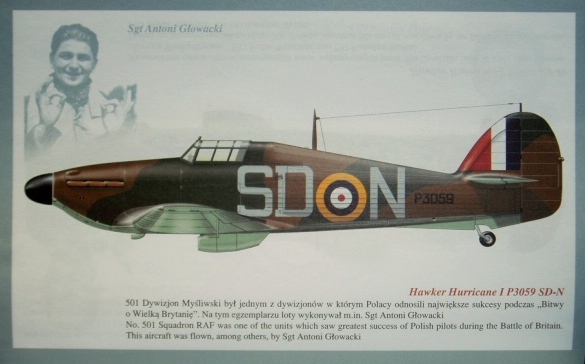 Sixteen colour profiles illustrate the aircraft flown by Polish pilots of the Battle and a very useful index shows which pilots flew in which squadrons. After escaping to Britain Ludwig Martel fought in the Battle of Britain with 54 and 603 Squadrons and later flew in the Western Desert as part of ‘Skalski’s Circus. Settling in Britain after the war, Martel was a prominent member and trustee of the Polish Air Force Association and passed away in 2010. 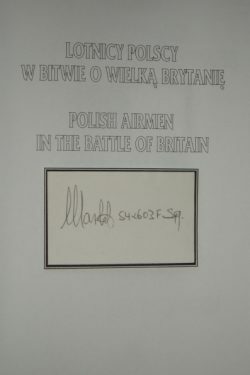 This is an extremely scarce publication, deserving a place in any Battle of Britain library and in addition, is ideal for displaying the signatures of the Polish pilots listed within.